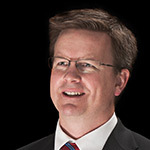 Michael Cain joined Aspen as the group general counsel in March 2008 and he has also been the head of group human resources since June 2011. He was appointed chief executive officer of Aspen Bermuda Limited in September 2014 and company secretary in February 2016. David joined Aspen Insurance in November 2015 as president and chief underwriting officer for our insurance business to develop and implement the overall strategy for the business. He works closely with our leadership team to develop the division's global underwriting strategy, establish global product leadership and define our underwriting approach. David has over 35 years' industry experience and, before joining Aspen, was president (US) and global casualty chief underwriting officer at Liberty International Underwriters. 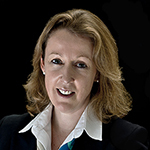 Karen Green is the chief executive officer of Aspen Insurance UK Limited and Aspen Managing Agency Limited, the managing agency of Aspen's Lloyd's Syndicate 4711. She also performs the role of office of the Group CEO and head of corporate development, Aspen Group. She joined Aspen in 2005 as head of strategy and office of the CEO, Aspen Group. Karen had previously worked as a principal with the global private equity firm MMC Capital Inc – formerly owned by Marsh & McLennan and now Stone Point Capital. Before this, she was a director at GE Capital in London, co-running the business development team responsible for mergers and acquisitions in Europe. She started her career as an investment banker with Baring Brothers and then Schroders. Karen serves as a non executive director on the Council of Lloyd's of London. 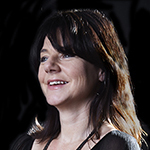 Karen also chairs the development council for the Almeida Theatre Company and previously chaired the advisory council for Almeida Projects, the theatre's educational outreach program. 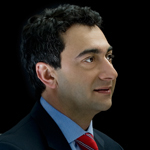 Emil Issavi was appointed President of Aspen Re, Aspen's reinsurance business, in September 2014. He has been chief underwriting officer for Aspen Re since August 2012. He joined Aspen in 2006 as the head of casualty treaty at Aspen Re America, before becoming the head of casualty reinsurance in 2008. He was previously at Swiss Re America, where he was the senior treaty account executive responsible for various global and national property casualty clients. Emil began his career at Gen Re as a casualty facultative underwriter. Scott Kirk joined Aspen as the group financial controller in 2007 and then assumed the role of group head of finance in 2009. He became the CFO of Aspen's insurance business, Aspen Insurance, in 2011 and was appointed group chief financial officer in December 2014. Before joining Aspen, Scott spent four years at Endurance, joining Endurance Re America in New York shortly after its formation in 2002. Prior to that Scott was with Trenwick International in London working in finance and treasury for three years. 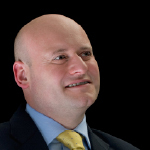 He started his career as an auditor at KPMG, Brisbane and is a member of the Institute of Chartered Accountants in both England and Wales and Australia. Mr. Cavoores has been a director of the Company since October 30, 2006. From October 5, 2010 through December 31, 2011, Mr. Cavoores was the Co-Chief Executive Officer of Aspen Insurance, focusing on Aspen Insurance’s casualty and professional lines and U.S. property businesses, where he had executive oversight for Aspen Insurance’s U.S. platform. From January 1, 2012, Mr. Cavoores re-assumed his role as a non-executive director of the Company. From September 2006 until March 2010, Mr. Cavoores was an advisor to Blackstone. During 2006, Mr. Cavoores was a Managing Director of Century Capital, a Boston-based private equity firm. 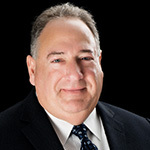 From 2003 to 2005, Mr. Cavoores served as President and Chief Executive Officer of OneBeacon Insurance Company, a subsidiary of the White Mountains Insurance Group. He was employed with OneBeacon from 2001 to 2005. Among his other positions, Mr. Cavoores was President of National Union Insurance Company, a subsidiary of AIG, Inc. He spent 19 years at Chubb Insurance Group, where he served as Chief Underwriting Officer, Executive Vice President and Managing Director of overseas operations, based in London. Mr. Cavoores currently serves as the chairman of Guidewire Software, Inc. and is a current director of Cunningham Lindsey, Inc. Mr. Cavoores previously served as a director of Cyrus Reinsurance Holdings and Alliant Insurance Holdings. Mr. Ireland has been a director of the Company since February 7, 2013 and was appointed as a non-executive director of Aspen U.K. on March 30, 2016. He worked at PricewaterhouseCoopers and its predecessor firms for 36 years until 2010 where he was a member of the U.K. Firms’ Supervisory Board for nine years, serving at various times as Chairman of the Senior Management Remuneration Committee and Deputy Chairman of the Supervisory Board and was for a number of years Chairman of the PricewaterhouseCoopers’ partner admissions panel. Mr. Ireland was Chairman of the PricewaterhouseCoopers’ Global International Insurance Accounting Group. Mr. Ireland represented PricewaterhouseCoopers on The Institute of Chartered Accountants in England and Wales Accounting sub-Committee. Mr. Ireland has also represented the ICAEW on the Federation des Experts Comptables European equivalent committee and was a member of the European Financial Reporting Advisory Group Financial Instruments Working Group. Since July 2010, Mr. Ireland has been a director of L&F Holdings Limited and Chief Executive of L&F Indemnity Limited, the professional indemnity captive insurance group which serves the PricewaterhouseCoopers network. He is also a director of Lifeguard Insurance (Dublin) Limited, Catamount Indemnity Limited, Professional Asset Indemnity Limited and Global Insurance Company Limited.